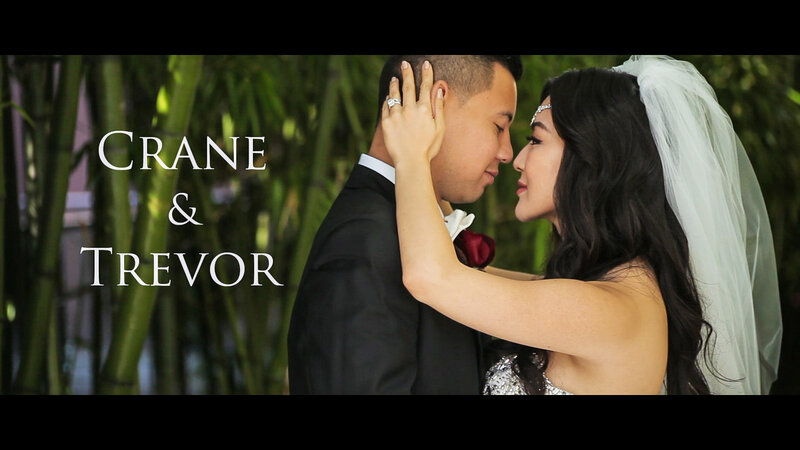 Wedding Videography Crane and Trevor Same Day Edit Video – Grand and Epic Wedding – Vancouver Wedding Videographer Life Studios Inc. It was an honor to document Crane and Trevor’s Wedding! We met our awesome couple through one of Vancouver’s Top Wedding Planners Sandy Pandher from Dream Groups Productions. Crane and Trevor’s style is Elegant and Grandeur. As we got a deep understanding of what Sandy along with the couple had planned for the Wedding, we knew we had to create an unforgettable Cinematography experience for this couple while watching their Same Day Edit at the reception. The ceremony was held at Coastal Church with the amazing Pastor Dave officiating their wedding, followed by a Grand Reception at the Four Seasons Hotel. Red was the color of the day, representing abundance prosperity and joy! The Four Seasons Grand Ballroom looked over the top SPECTACULAR! The best words to describe Crane and Trevor’s Day are – REAL LIFE FAIRY TALE! Our beautiful Crane in her majestic Wedding Gown got married to her very handsome man, Trevor. The day was filled with celebration and romance. Everything came together perfectly from the getting ready, to the ceremony, to all the magnificent flowers and décor done by the very talented Evan at Flowerz, to the delicious wedding cake from Peter Fong at Ganache Patisserie; of course the cherry on the cake was Brian McKnight serenading the couple as they danced for the first time as husband and wife. It was such a magnificent day as two lives came together as one! Sit back, relax and take in the Wedding Videography Crane and Trevor Same Day Edit Video!